Review: DNF at page 145. I really tried to read this all the way through but after a while I was literally forcing myself to read and then found myself skimming the pages and that is when I knew this was not for me. I had a hard time staying within the story. One minute I'm fully wrapped up in what is going on and then the next few pages or so I just feel like I'm reading words completely pulled out from the story and waiting to get to the next exciting part instead of being downright bored. Also I didn't connect with any of the characters. I wasn't a fan of Avery, Tane seemed like he might become more interesting as the story continued unfortunately my annoyance and boredom with Avery kept me from reading that far.I didn't understand her at all, she has to become the next Roe Witch, takeover after her grandmother but why? I never fully understood her desperation behind it. And then she hates her mom so much and at first I thought okay she must be horrible but the bits we got from the parts I read she was really trying to look after the well being of Avery. The pacing was very slow and I noticed a ton of filler pages. 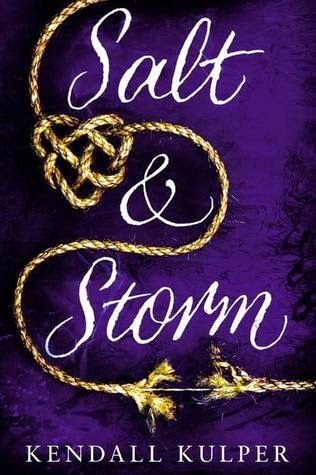 Salt & Storm could have easily been reduced in size by a hundred pages to make things move along faster.